WELCOME to Baptist Mid-Missions’ School of Church Planting (SCP) website. We’re glad you stopped in for a visit. Feel free to take as much time as you like touring the different aspects of the SCP. We know from Acts 2:41,42 that believers were baptized into a fellowship of believers and then taught biblical truths just as Jesus said to do. From Acts 14:21-23 we learn that the Great Commission follows a three-step process of evangelism , edification , and establishing of local churches . 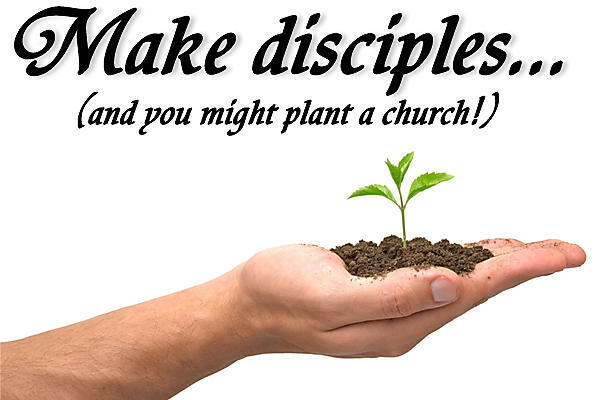 While we are never commanded to plant churches, new churches being planted is the natural outcome of the discipling process. Developing growing, maturing disciples banded together for fellowship, encouragement, ministry and the proclamation of the gospel around the world for the glory of God is the ultimate goal of the Great Commission. The question is not, “What does the Lord want us to do?” He has already told us that in his Commission. The question is, “How can we best do it?” We want to do the right things (faithfulness), in the right way (excellence), at the right time (efficiency), for the right reason (exaltation). But implementing the Savior’s command to make disciples on a global stage is not easy. That is where the SCP comes in. For the past three decades, long before church planting came into vogue and books became plentiful, the SCP was equipping missionaries, church planters, pastors and people from around the world in biblical principles of church planting. We hope you’ll allow us to help you as well. So, enjoy the journey as you continue your tour around our site. Let us know if we can help you in any way. Do We Really Need More Churches in America?